Students from North Lindsey College are joining construction company Robert Woodhead to gain some valuable work experience as part of a development on site at the College. Robert Woodhead is working on a project for North Lindsey College to develop a university grade bio-science laboratory as part of a £300k improvement project of the existing STEM building. This is also the first project in North Lincolnshire to have been secured through the empa ii minor works construction framework. The aim of empa, which was formed by local authorities in the East Midlands, is to improve the procurement and delivery of construction projects and property maintenance for public sector bodies saving time and money for them, and in turn for council taxpayers. The existing building, which is used by the College’s higher education and further education students, along with the upgraded facilities will provide a university and industry standard grade bio-science laboratory. Two existing laboratories s have already been refurbished, one as a classroom space and the other as a bio-science laboratory and an extension is currently being built to house a physiology testing suite with a link, housing a clean room and shower that will be used as part of the bio science facilities. 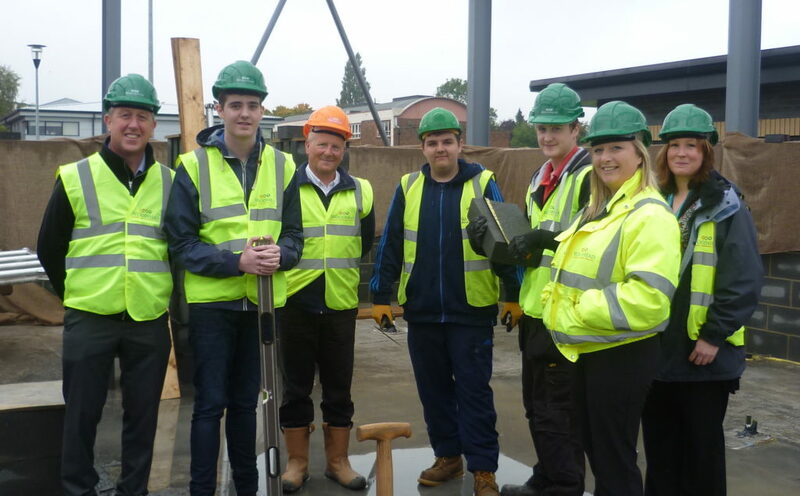 The team from Woodhead has welcomed in three students from the College, two of which are learning bricklaying and one who is shadowing Woodhead’s site manager Pat Richmond to learn how to manage an active construction site. In addition members from the Woodhead team are also visiting students from the College to share knowledge on the construction industry and talk about individual projects including the recent restoration of Lincoln Castle. Katie Stammers is Project Coordinator for Robert Woodhead, she said: “Being able to support students who are directly benefitting from the work that we are undertaking is great. The work experience opportunities that we have been able to provide means that students are able to gain first hand site experience right on their doorstep.